Mercedes Benz S-class is one of the largest sedans in the Mercedes Benz lineup. The car is one of the most costly cars manufactured by Mercedes Benz and has captured the imagination of the car lovers through out India. Mercedes Benz S-class adorns killer looks. The dynamic flow lines, neat cuts give a stylish look to the car. The broad headlights, side creases and long hood, driver power heated painted door mirrors with automatic operation indicator lights, painted front and rear bumpers and bold wheel arches provide a robust look to the car. Mercedes Benz S-class has many comfort features. The car has Air conditioning with fully automated climate control, front and rear ashtray, floor and overhead console, front seats and rear seats cup holders. Other comfort features include Ventilation system with micro filter, automatic recirculation and active carbon filter. Safety aspect has been kept supreme while manufacturing Mercedes Benz S-class. The car has features like ABS (Antilock Brake System) with EBD (Electronic Brake-Force Distribution). Other safety features include Brake Assist System, Electronic Traction Control via ABS and engine management and interactive front and rear suspension leveling. The S 350 L has V6 petrol engine which produces a maximum power of 272 hp at 6300 rpm and a maximum torque of 345 Nm at 4500 rpm. The 500 L V8 petrol engine produces a maximum power of 388 hp at 6000 rpm and a maximum torque of 530 Nm at 2800-4800 rpm. The S 320 CDI L variant has V6 engine which churns a maximum power of 210 hp at 4000 rpm and a maximum torque of 490 Nm at 1600-1800 rpm. The S63 AMG model has V8 engine which churns a maximum power of 525 hp at 6800 rpm and a maximum torque of 630 Nm at 5200 rpm. 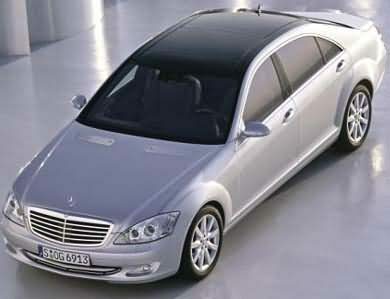 The various models of Mercedes Benz S-class come under the price tag ranging from Rs.70 lakhs to Rs. 90 lakhs (taking Mumbai as base price location).